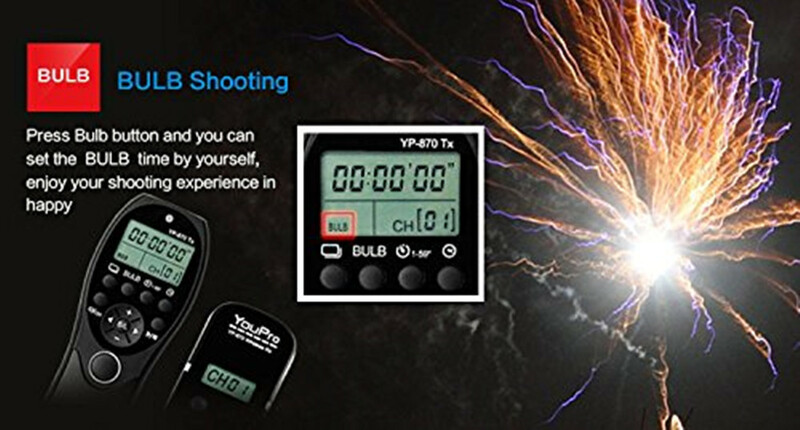 YouPro YP-870 II camera timing shutter release adopts FSK 2.4GHz wireless control system, supports single shooting, low speed and high speed continuous shooting, Bulb shooting and delay shooting. And the communication distance is up to 80 meters. 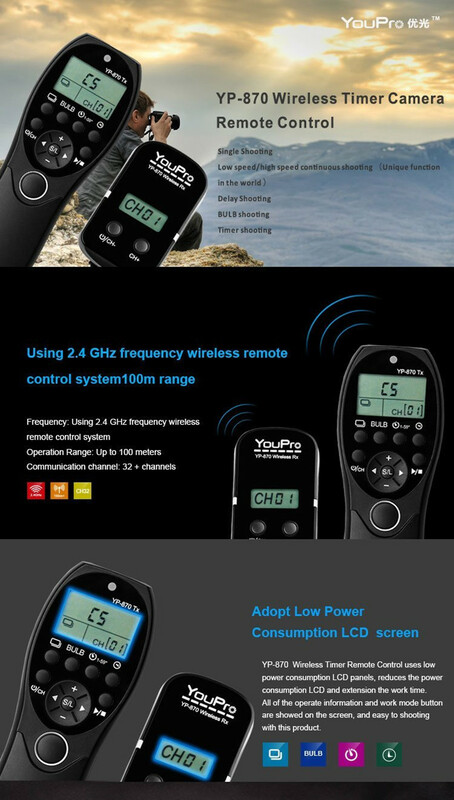 Adopts FSK system and global free 2.4GHz frequency, more stable and more reliable. 32 channels available, more choices to prevent the signal disturb, and 80 meters remote control distance. 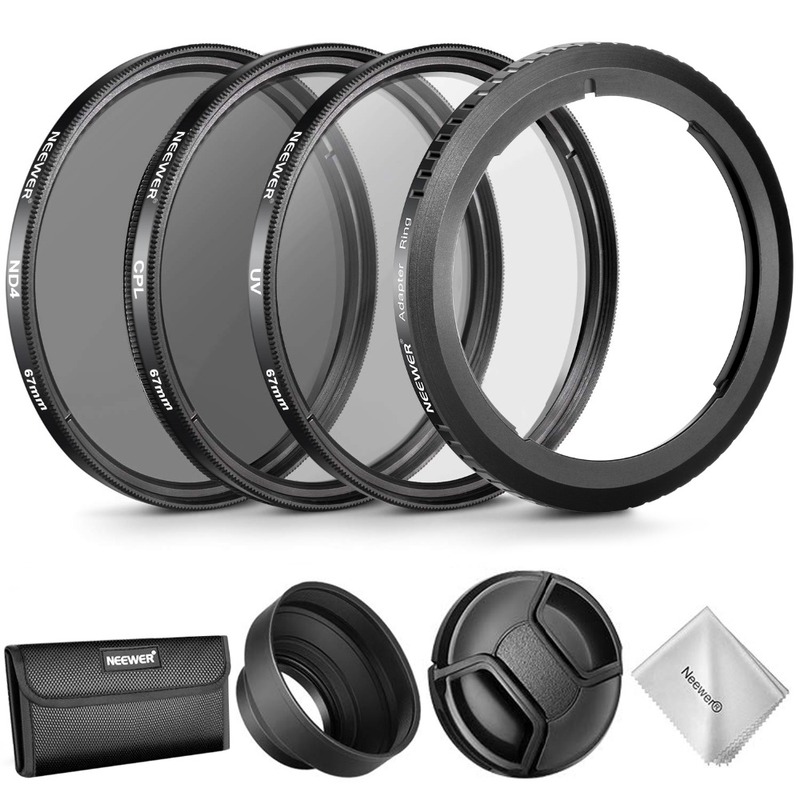 Supports single shooting, low speed and high speed continuous shooting, Bulb shooting, delay shooting and timing shooting. The transmitter can be connected with the camera and works as a wired remote control, also supports the shooting modes mentioned above. 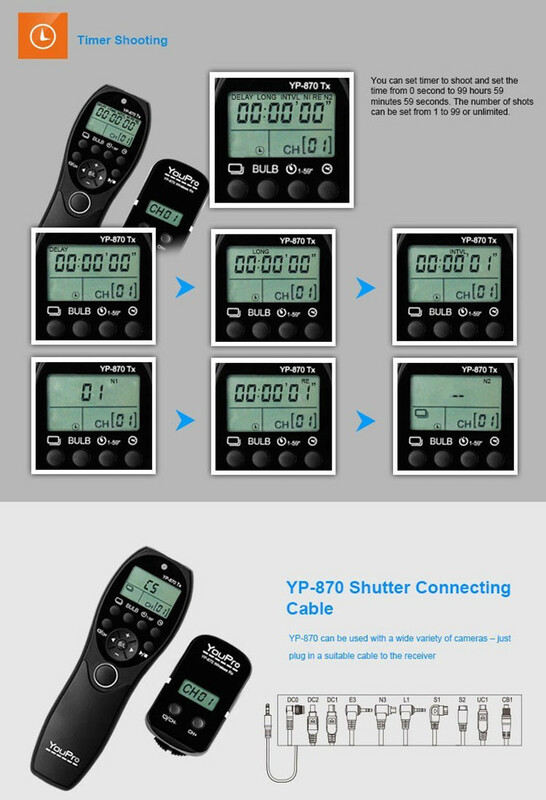 With LCD display, very convenient to get accurate channel and shooting modes information, easy operation. Special low power consumption design, suitable for long time use. Transmitter Size: Approx. 13.5 * 4 * 1.5cm / 5.3 * 1.6 * 0.6"
Receiver Size: Approx. 6.5 * 3.5 * 1.9cm / 2.6 * 1.4 * 0.7"
Package Size: 16.7 * 11 * 3.7cm / 6.6 * 4.3 * 1.4"